2019 Best Bar None Awards Ceremony Results! What an evening for Best Bar None Scotland! Our National Awards ceremony took place on Thursday 28th March at the Dunblane Hydro Hotel. A fantastic evening celebrating the hard work and effort that all our Best Bar None Scotland venues have put in over the course of 2018/19. A very well done to all our category winners and a special well done to the Black Rose Tavern, Edinburgh who are crowned our National Champions for 2018/19. Click the link below to read all the details and see all the photos on our News page. We would like to send a huge thank you to our sponsors Yoti and Drinkaware, our media partners Volpa, as well as award supporters The Ben, Chivas Brothers - Pernod Ricard, SecuriGroup and the Scottish Community Safety Network. Your continuing support for Best Bar None Scotland is very much appreciated. We understand the importance of having links with trade bodies who support venues interests including SLTA - Scottish Licensed Trade Association and Trade Forums. 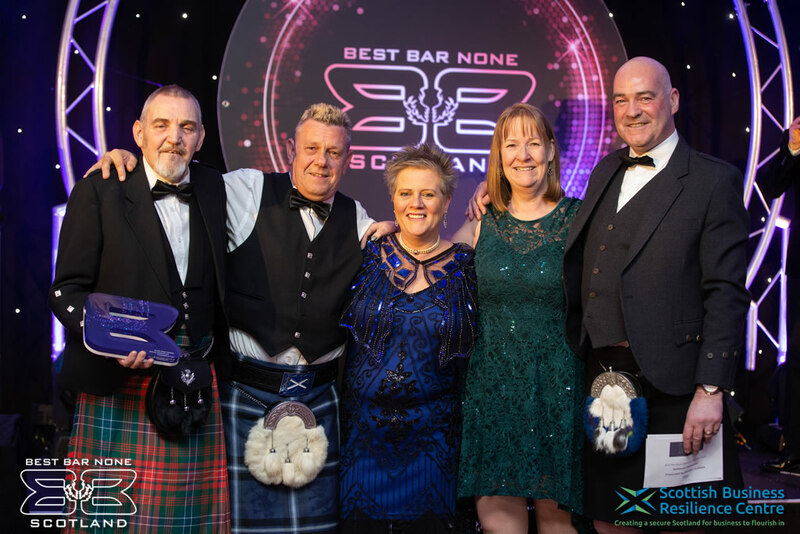 Our National Winners - The Waggon Inn and The Queens Head Hotel from the Scottish Borders and the Edinburgh Corn Exchange together with some 2018 winners, tell us why being part of Best Bar None is positive for their business. 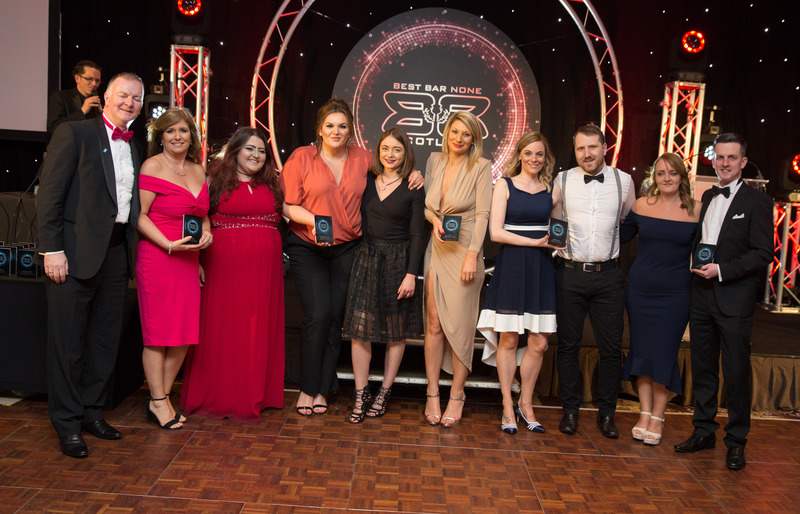 At the National Awards ceremony 2018-19 at the Dunblane Hydro Hotel on Thursday 28th March, a number of worthy venues across Scotland were recognised as being the premium venues throughout the country. A new SBRC team member on secondment from the Scottish Fire & Rescue Service has joined the Best Bar None National coordination team for 2019.